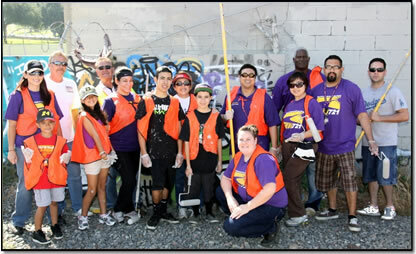 Our formula for success is simple, since 1992 KRCB's beautification projects have provided opportunities for volunteers to receive hands-on stewardship with: litter prevention, graffiti eradication, planting roses along Victoria Ave., tree planting in local parks and community greening projects. 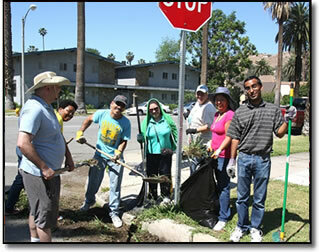 Each month the KRCB staff partners with the City of Riverside's Public Works Department and organizes volunteers for multiple beautification projects in one of the seven council wards within the City of Riverside. 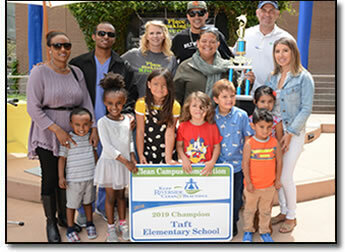 To learn more about these projects click here for this year's Volunteer Program Calendar 2018/2019. 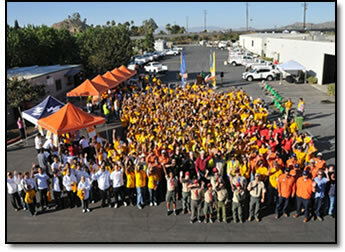 500 community volunteers participate in this annual event. 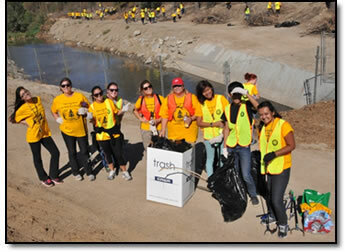 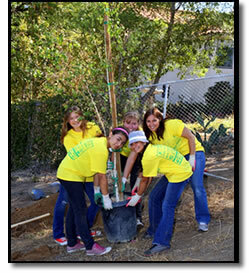 UECC Americorps and Inland Empire Waterkeeper team up to clean the Tequesquite Canal near Ryan Bonaminio Park. 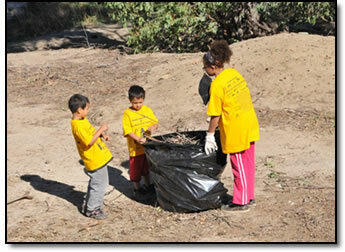 KRCB welcome volunteers of all ages to the Santa Ana River and City Waterways Cleanup. 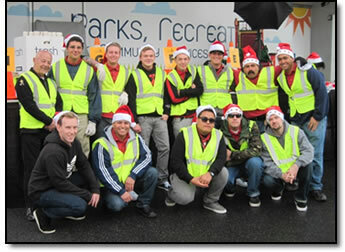 Thank you to our wonderful board members James Brietling (Athens Services and David Diaz (Bank of America) as well as Peter Caro (Bank of America). 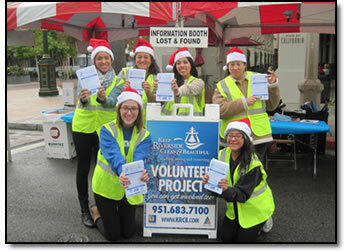 Our eager program volunteers are happy to let our attendees know about the day’s festivities. 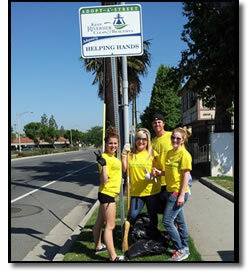 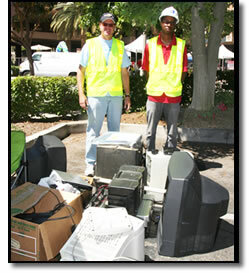 The hard working members of Teen Challenge pose for a quick photo before putting in a hard day’s work. 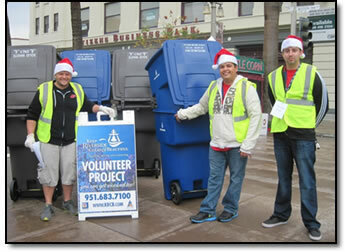 Place them back to back, make a tri-fold, use as a reference for the KRCB volunteer program.